Unprecedented mock warfare in Russia is gaining momentum, with fleets hunting enemy submarines, strategic bombers testing national air defenses and special forces training to eliminate terrorist groups attempting to infiltrate the country. The number of servicemen taking part in surprise drills that started on March 16 has reached 80,000, Russia’s Chief of General Staff Valery Gerasimov said on Thursday. “The operational combat training currently ongoing in the armed forces is preplanned and poses no threat to any state,” Gerasimov said. 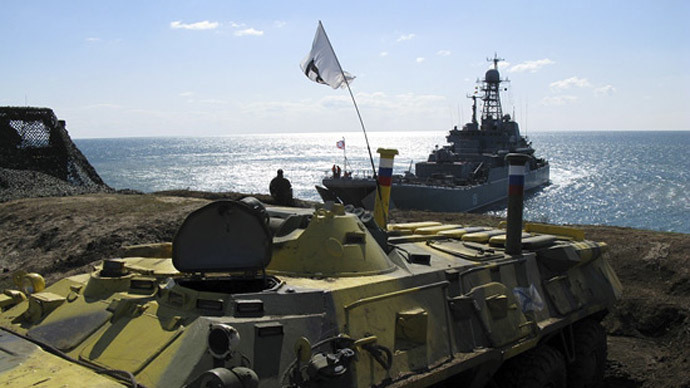 On Thursday, Russian naval task forces in the Arctic, Baltic and Black Sea continued tactical analysis of war at sea. Russia’s Northern Fleet task force in the Barents Sea, headed by the anti-submarine battleship Admiral Levchenko, forced an imaginary enemy’s nuclear submarine to perform emergency surfacing and surrender. Corvette ASWs trained submarine elimination using depth charges. Altogether 70 battleships and service vessels are taking part in Northern Fleet training this week. 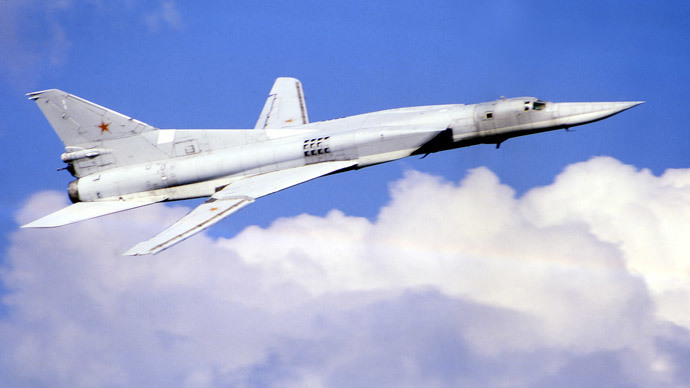 The search for enemy subs was assisted by Tupolev Tu-142 and Ilyushin Il-38 planes. The Arctic command has 52 military aircraft taking part in the training, among them 13 strategic bombers and 7 missile aircraft carriers. Tupolev Tu-95MC strategic bombers have performed a number of patrol flights over the Arctic waters, testing the combat readiness of regional air defenses. 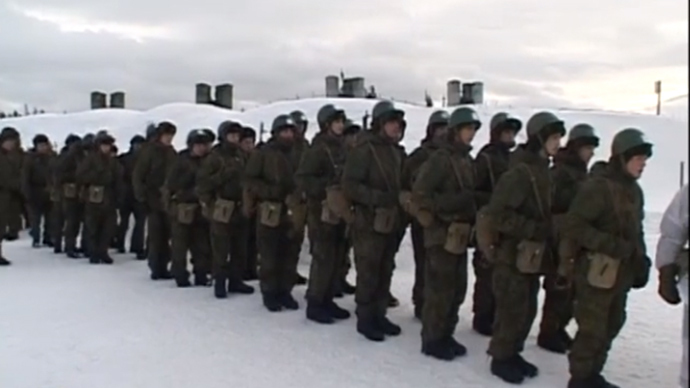 Mechanized infantry on the ground practiced elimination of ‘militants’ in harsh Arctic weather conditions, where the depth of snow could be up to three meters. 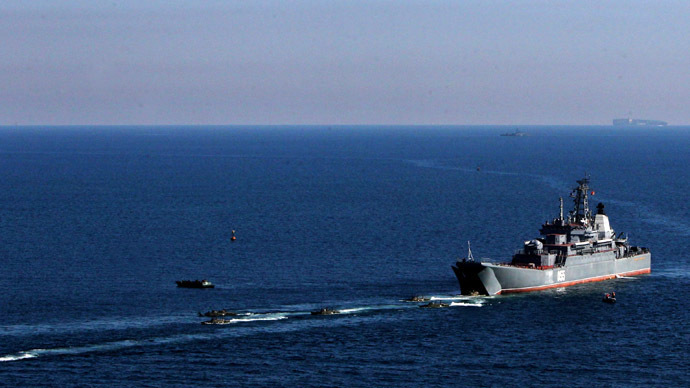 The Black Sea fleet has also been training to repel enemy submarines in designated maritime defense zones. Drills near the Crimea Peninsula (re-united with Russia one year ago) are ongoing amid the heavy presence of NATO warships in the Black Sea, among them the guided missile cruiser, the USS Vicksburg. Fighter jets assigned to the Baltic Sea Fleet have performed night assault on ground and airborne targets, with simulated dogfights and maneuvering at ultra-low altitudes. Tank units of Russia’s Western Command have been training enemy elimination in conditions of heavy electronic jamming countermeasures. Thousands of kilometers to the east, in the Altay region, Mi-8AMTSH ‘Terminator’ and Mi-24 ‘Crocodile’ helicopters eliminated mock enemy forces using unguided missiles, 30mm guns and machine-guns. They also practiced airdrop mine-laying in designated areas. Missile units in the Pacific region performed launches of the Tochka-U tactical nuclear-capable ballistic missile, eliminating mock enemy command headquarters with outgoing military hardware parked nearby. In the North Caucasus, Russian special forces of the Southern Command have been training the elimination of terrorist groups infiltrating Russia from neighboring countries. Some of the training was carried out in South Ossetia, which has just signed a military treaty with Russia. The practice of surprise military training and snap checks advocated by President Vladimir Putin has proven its effectiveness and will continue, the presidential press secretary, Dmitry Peskov, told RIA Novosti. “Naturally, everything that is going on within the framework of snap checks, trainings and so on is being conducted in strict compliance with international law,” Peskov stressed.